Brighten your skin and lighten your life – The SkinBrite Collection has been created to banish dark blemishes, under eye circles and hyperpigmentation problems with the impressive capabilities of illuminating botanicals and the latest brightening ingredients. 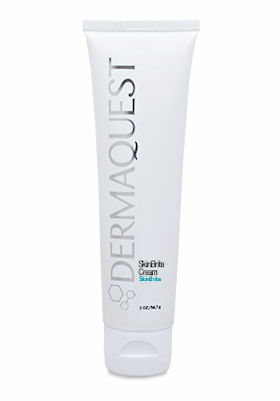 So step out of the dark, with DermaQuests SkinBrite collection that evens and brightens your skin tone for a ravishingly glowing you. 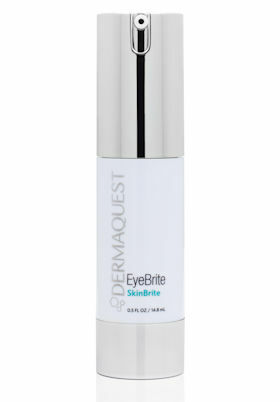 Allow your eyes to sparkle with DermaQuest’s EyeBrite. The gorgeous blend of Madonna Lily Stem Cells and antioxidants that reduce dark circles from below your eyes, whilst the healing peptides cure your tired, puffy eyes, enabling the natural radiance of your most captivating feature to shine bright. Diminish and prevent discolouration of your skin with DermaQuest’s SkinBrite Serum that has been formulated with Chromabright™ , AHAs and botanical brighteners. Your skin will fell moisturised, your balance restored and your skin tone even and glowing. The SkinBright Cream is a lightweight, moisturising brightening cream that is blended with Chromabright™ and BV-OSC to reduce skin pigmentation and control melanin for a beautiful, glowing and even skin tone. This indulgent cream is safe to use on all skin types, including sensitive skin as it is non-hydroquinone, non-AHA formula that is infused with Liquorice Root extract and soothing antioxidants that nourishes your skin all day long. 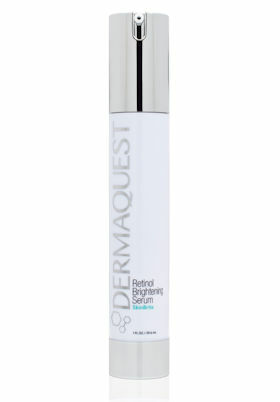 Minimise skin pigmentation and acquire a more even skin tone with DermaQuest’s Retinol Brightening Serum. Containing brightening Kojic Acid and the changing properties of retinol, our serum will redefine and revitalise your skin, reducing dark spots and discoloration due to acne, sun exposure and melasma. Soften tour skin and allow it to glow with this enriching and nourishing brightening serum.